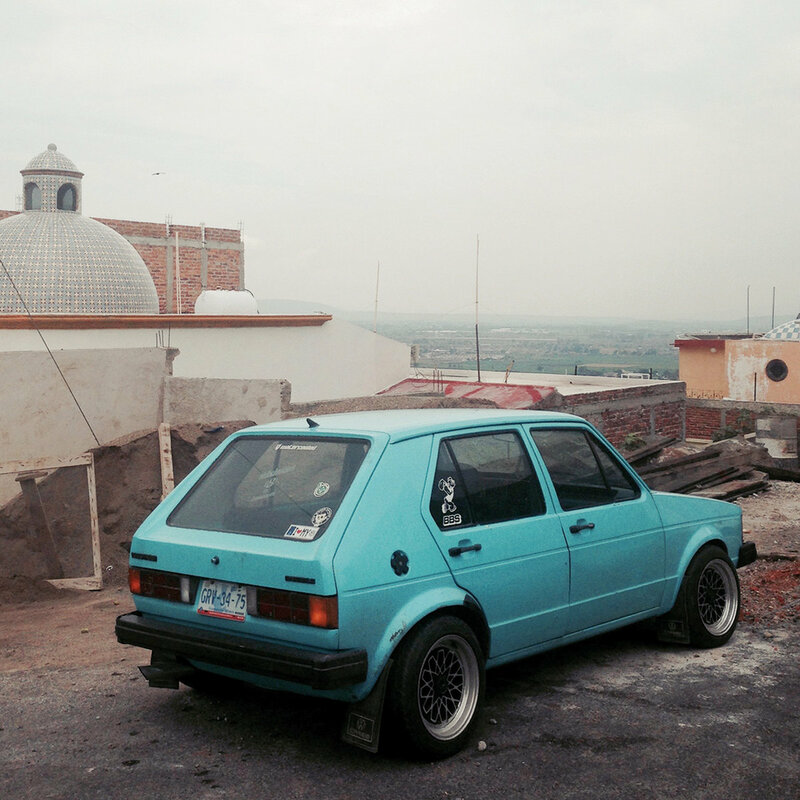 Achieving paradise sounds like a great goal, but some people are not satisfied with the simple extraordinary. Take, for example, the Milan-to-London band formed by Francesco Roma and Nico Spreafico. Adding Juliet Styles and Bradley Smith when to duo arrived in the UK, they bypassed paradise and became Super Paradise. And what is super paradise in this context? It is the eight-song Quençebo, a bold, confident fusion of garage and dreampop, anthemic in scope and thrilling in the execution. Seven songs are Francesco's original compositions, and the band added an excellent version of LCD Soundsystem's "All My Friends". This is a powerful little package, bursting with joy, melody and energy. You will be thankful for the replay button. Quençebo is available now via Jigsaw records as a digital download or CD. See the Bandcamp link below. We've been singing the praises of Washington, D.C.'s Dot Dash for several years. Actually, as I look at that first sentence I feel the need for a correction. We have been writing praises of Dot Dash -- we've left the singing to them. Trust us, it is better that way. Much, much better. And as the holiday season is in full flight, there is a Dot Dash gift for everyone. Due to the kind folks at the Last Day Deaf blog, a five song sampler is available to stream and download for $0. Yes, indeed. A free song from each of the band's excellent albums. You can stream it below. If you would like to download the songs (and of course you do), hit the Soundcloud link below and then click on each song in turn for the download arrow. So there you go -- Merry Christmas from Dot Dash, Last Day Deaf and, a little bit, from us at WYMA. If you appreciate songwriting as an art, Stephin Merritt should be a familiar to you. His work is available under his own name, and four different bands including The Magnetic Fields. Of course, his best known work under that band name was the multi-disc 69 Love Songs, which was released by Merge Records in 1999. But to focus on that one, admittedly transcendent, release to the exclusion of others is to deny yourself a wealth of inventive, clever and incredibly satisfying pop music. 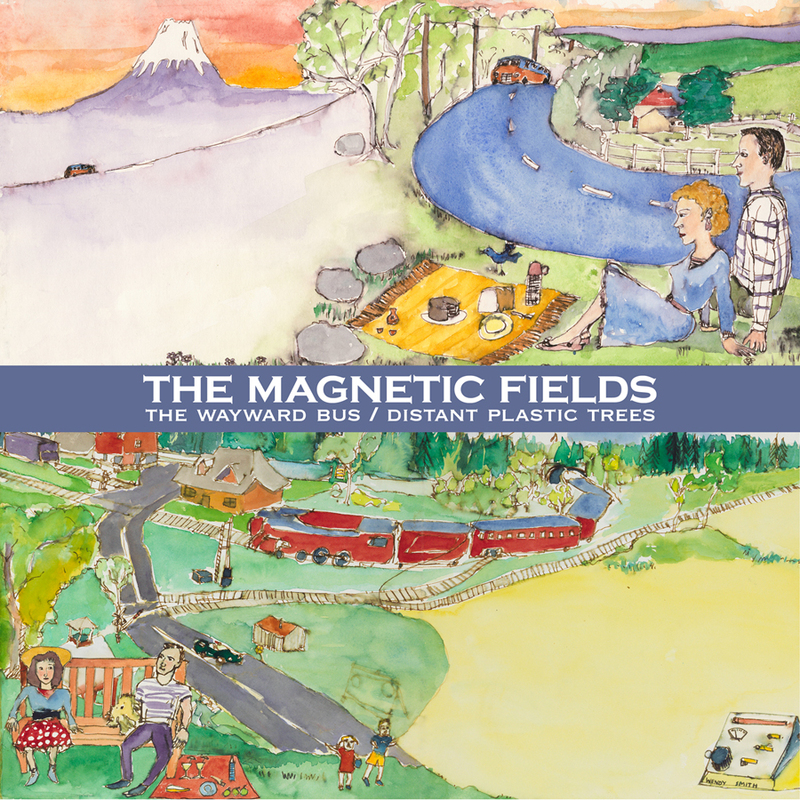 Cases in point are his first two The Magnetic Fields albums, The Wayward Bus and Distant Plastic Trees, which were released in the early '90s. While those indie releases initially didn't attract a wide audience, they received a bump in 1994 when Merge Records released them as a double album. The records showcase the signature Merritt art -- wistful and caustic, clever and direct, sad and humorous, retro but somehow timeless. And always melodic. The records were a breath of fresh air in an industry awash in grunge, alt rock and Britpop. The listener will hear hints of Phil Spector and Brian Wilson, and more broadly Baroque pop over the decades. But there should be no compulsion to categorize, this is classic pop that deserves a place in your collection. 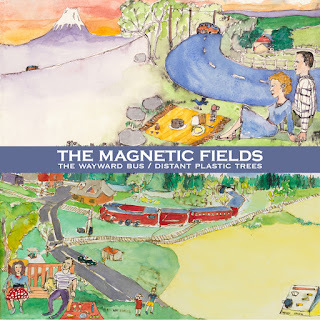 The Wayward Bus / Distant Plastic Trees are now available from Merge Records as a 2-LP vinyl release.